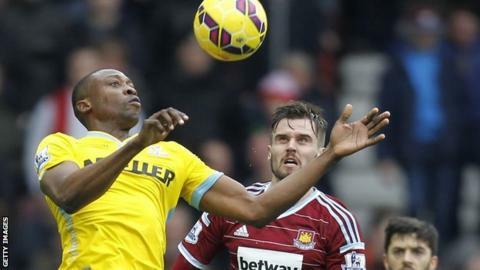 Championship side Bolton Wanderers have signed Nigeria striker Shola Ameobi on a short-term deal. The ex-England Under-21 international had impressed on trial at the club. The 34-year-old has spent the majority of his career at Newcastle after progressing through their academy and spent time on loan at Stoke in 2008. After leaving the Magpies he moved to Turkish side Gaziantep BB and spent the final six months of last season at Crystal Palace. He scored 11 goals in 21 games during Newcastle United's season in the Championship in 2009-10. Ameobi, who has 10 Nigeria caps and had a short trial with Wolves in September, joins a Bolton side currently bottom of the table with just one win in all competitions so far this season.